The Oglala Lakota Artspace LLC — comprised of Artspace, First Peoples Fund, and Lakota Funds — announced today the groundbreaking ceremony for the first-ever arts center on the geographically vast Pine Ridge Reservation in South Dakota: The Oglala Lakota Artspace. The arts facility is designed to provide local Native artists with increased access to essential resources needed for their work. When complete, the mixed-use arts center will give Native artists access to capacity building programs, training in arts business practices, and opportunities to collaborate. The groundbreaking event will take place at 1:00 p.m. on Thursday, September 27th at Lakota Prairie Drive, BIA 2, Kyle, SD 57752 (across from the Pine Ridge Area Chamber of Commerce), and is free and open to the public. The Oglala Lakota Artspace will expand on services provided by the Rolling Rez Arts mobile arts and financial literacy vehicle (also created by the Oglala Lakota Artspace LLC) and First Peoples Fund’s Dances With Words program, a spoken word and literacy program for Native youth. The facility is designed by Architect Tammy Eagle Bull (Oglala Lakota) of Encompass Architects, who has incorporated Lakota star knowledge into its design. 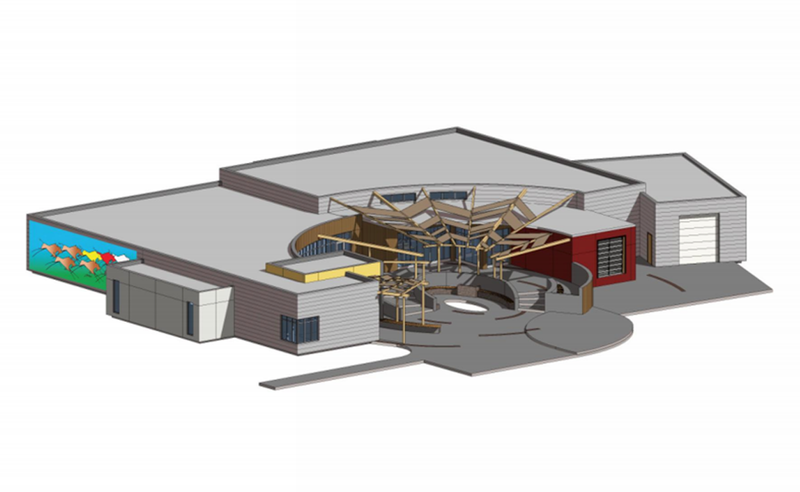 The Oglala Lakota Artspace will feature individual artist studio space; a storefront for the Lakota Federal Credit Union; shared workspace for performances or collaborations; a recording and sound studio; a Native art gallery and gift shop, including a place to buy art supplies; and a garage for the Rolling Rez Arts bus. The creation of the Rolling Rez Arts and Oglala Lakota Artspace arts center both respond to the 2011-13 “Establishing a Creative Economy: Arts as an Economic Engine in Native Communities,” released by First Peoples Fund, Artspace, and Colorado State University, which found that art is among the most promising ways to expand the market economy in Native communities. 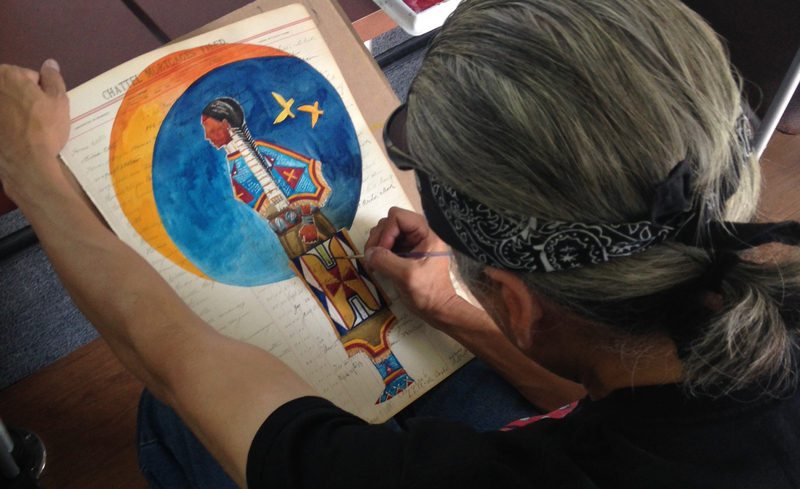 The study revealed that more than half of Native households on Pine Ridge are engaged in home-based businesses, and 79 percent of those businesses are in the arts. It also found that 61 percent of emerging artists have incomes of less than $10,000, but through participation in workshops and trainings, that number drops to 7.5 percent. The study identified that what reservation-based artists need to be successful includes access—to markets, supplies, space, credit, and networks—as well as increased business knowledge.